I’m a Web fanatic, I admit. But you probably already knew that… My work environment has been completely web based for years now. The same applies to my music. Like many people, I used to download music from Kazaa or eMule (Yeah, I know some of you still do). Most of the time now, I listen to music on the web and don’t have any need to download it. My laptop benefits the most from this inclination since it’s not weighed down by music files, thus saving me tons of space and virus headaches (you eMule users know what I’m talking about). Anyhow, if I do choose to download music, I can always do it over at iTunes or my favorite place in the web: Jamendo. Music plays a large role in our lives. Since the web now plays an even bigger part, combining the two together has become unavoidable. The greatest thing about this powerful duo is that you don’t need to spend a lot of time searching for music you like — just use this nifty guide list and you’ll find just about everything you need to enjoy hours of good music. The sound quality changes from service to service, but overall, it’s good enough for regular web usage. Please note that this is a list of services that you can use over the net without the need to download anything to your computer. This is why I’m not listing any P2P software: i.e., Spotify, as well the fact that most of us can’t really test it or use it for all that matter. This is also only the first half of this guide; part two will include more web music players (including MySpace Music, Streamzy, and others) as well as music search engines and services that make it easy to share songs on Twitter and other social sites. Pandora is a service that can be used only in a specific locale, this one being within the U.S. Luckily, I had the chance to test the service when it was first released and became available to everyone. Launched way back in July 2005, the project had been in the initial testing phases for five years prior to launch date. Pandora recommends music to you by matching similar musical attributes. All you really need to do is choose an artist or a band you like, and Pandora will do the rest. Pandora delivers high quality 128Kbps audio streams, offering recommendations similar to the artists you have chosen. Pandora’s player looks like a radio, you can open up to 100 stations and navigate through them quickly. Registering for Pandora will provide you with a free account (advertising-supported). Free Pandora accounts will play up to 40 hours of music for free per month, you also have the option to pay 99 cents for unlimited listening hours for the rest of that month, or pay $36 to upgrade Pandora for one year. If you want to download music from Pandora, you can do it through iTunes or Amazon. You can see our past Pandora coverage here. This is how BlogMusik, looked in 2006, and this is how Deezer (formerly BlogMusik) looks today – pretty impressive change, don’t you think? The French-based service is one of the largest and happens to also be a very successful music recommendation search engine. Once registered here, you can create your personal profile and reach the Deezer community. You can create playlists, send messages to your contacts, leave comments, add artists and albums to your favorites, and more. But here’s what I like the most – The SmartRadio, which is an intelligent radio that automatically generates 3 hours(!) of continuous listening based on one artist – completely free. Priceless! You can see our past coverage of Deezer here. I think the first Adobe AIR application that I ever tried was Finetune. Finetune provides you with the most interesting new playlists of related music from your choice of artists. Besides the site’s community where you can browse, listen to music, create a profile, connect with other users and more, Finefune also has some cool feautures to complete their suite, and each tool gives you an extraordinary music experience. Take for example the Finetune Wii project (which can be played also over the web), it’s a great sight and sound for the eyes and ears. Just enter an artist’s name and Finetune will create a playlist with similar music that will play for hours. Best of all it’s free, and you also get an iPhone, Facebook and a Desktop app that all sync with your music playlist, no matter where you play it from. You can see our past coverage of FineTune here. Amie Street is a home for musicians. The service allows music fans to discover new and independent music. Visitors at the site can search for new music based on genre, region, or recommendations. Fans can also search for music according to its price – Amie Street is actually the only marketplace where listeners determine the price of the music. How does it work? Every song is originally priced free or very inexpensive and increases in price, up to 98 cents, as more and more users purchase it. Musicians then get 70% of the revenue from each sale. Additionally, Amie Street matches you with music that you might like, for example: I couldn’t locate Coldplay on the site, but I got more than 70 results that sound similar to the band. Obviously, this exposes me to music that I’ve never heard before, which is always a welcomed experience. You can see our past coverage of Amie Street here. Why is Jamendo one of my favorite music services? It offers the largest catalog of music under Creative Commons licenses – worldwide. And, not only are all of the albums free to download, there’s also a large chance you won’t know any of the artists. If you already have an open mind about music, surely it won’t stop you from listening to some new albums, right? The best way to find music at this site is to search by the genre tags. Found something that you like? You can review, comment, rate, share and as I’ve said download it for free. The service is available in seven languages, and has an iPhone app that you can download for free. Business model? Yes they have one too. SoundCloud is by far the best looking music application there is today. It offers a great interface, a great user-experience and above these all, great music! SoundCloud lets music professionals receive, send and distribute their music. The service allows professionals (and non-professionals) to exchange, and follow music and musicians at the site. It’s a full community where people can easily communicate with each other based on shared tastes, but it is also a place where musicians can store and showcase their music using high quality standards. With the free account, you can only upload 5 tracks maximum per month, but if you are an industry fanatic and you find this plan to be somewhat lacking, you can check the pro page for packages that are more suitable to your needs. See our past coverage here. TheSixtyOne allows artists to upload their songs and lets thousands of listeners decide whether they like it or not. The most popular songs hit the front page. Think about it as a Digg for music, the more people heart a song, the higher it goes. The site connects musicians and fans, giving them all the tools to communicate with each other. For artists, it’s good place to promote their work. For anyone else, it’s a wonderful place to discover and support new music. Jiwa.fm allows you to create personalize playlist and share it in the Jiwa.fm community or with friends & family. As a member, you are able to share, exchange, and explore music. 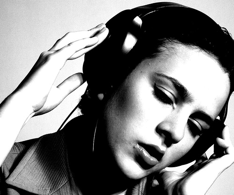 You can also expand your tastes with the SmartRadio tool. I found this service to be unique in a way because no matter what you are doing at the site, it won’t prevent you from listening to your playlist, it just plays in the background. Amazingly, when you click on an artist from within a mixed artists playlist, it will automatically create an album playlist of that artist. You might find the site to be a bit cluttered at first time, but once you get it, it works like a charm – highly recommended. At Jogli, you don’t really need to create a playlist – they create it for you. Think about it as a giant web-based CD store where you can search for an artist, see all of his/her albums, and then listen to them exactly as listed in original CD Let’s take Michael Jackson for example: Here you can find all his discography, and listen to his CDs one by one. Clicking on the button ‘Play Radio’ will open a radio station generated from music you might like from similar artists. As a registered member, you are able to save playlists, write reviews, and more. You can also import your playlists to Last.fm or iTunes to make it a video playlist. Check out our past coverage of Jogli here. MixTube would have been better and easier if they allowed you to search for Youtube videos on their site to create a playlist. But no, you have to supply them with a Youtube URL, which means, you’ll have to go directly to Youtube, search for a song, then copy-paste that song URL back into MixTube. Thus, I found it to be frustrating. But looking at the bright side, you can always search for someone else’s playlist, and save yourself time and agony. One word about the Youtube music integration – lots of services use it, but unfortunately, it doesn’t offer you much control of your playlist, and what plays today, may not play tomorrow..
Lala is another great music store/playlist maker that we’ve covered extensively since the site relaunched last year. It allows users to listen to any song they want one time. If you want to listen to a song more than that, you buy a 10 cent ‘web song’ that lets you stream the song from the cloud as many times as you want (you can also purchase a full download of the song as you would from iTunes or Amazon). The site has a great integrated music player and a variety of pre-made playlists built by other users. There’s no doubt in my mind that Musicovery has a strong following of avid users. The site is an interactive and personalized webradio enabling its users to generate in a few clicks a musical program adapted to the various listening situations and their preferences. Their unique mood matrix proposes a relationship between music and mood in an ergonomic and attractive manner. I’ve submitted this item about the service to Digg in 2006 and it’s good to see the site still works . But things have changed. You have limited navigation if you’re not a pro user ($15/3 months or $48/12 months), but once you are – the sky is the limit. In any case, this service will blow you away. CitySounds.fm is perhaps just a mashup site, but it’s a good one! CitySounds.fm collects music from SoundCloud and pictures from Flickr to create a wonderful music experience from a single page. You can listen to the latest music from cities all around the world. At the top are the most active cities and the list is constantly changing as new music is being created. Very similar to Last.fm in concept, Jango allows you to create your own custom radio stations and share them with friends. Just type in what you want to hear – and your station will immediately play the music you want along with similar favorites of other Jango users who share your tastes. You can customize your stations further by adding more artists and rating songs. Each artist get a page, containing the web-radio, the music playlist, biographies, events list, comments from members at the site, and fan list for easy communication. The service claims to be legal and says it pays royalties due to all labels/artists every time a song is played. Moreover, Jango runs a program called Jango Airplay. This program gives emerging artists an unprecedented opportunity to be proactively exposed to the millions of visitors at the site. See our past coverage of Jango here. RadioBeta is an efficient way to locate radio stations in your area or around the globe. You can search stations by geography, genre, band, language or tags. You can listen without signing up, or you can log in and create your personal dashboard with favorite stations that you can then listen to on a daily basis. We mostly hear radio on the go, but now you can easily track your favorite radio stations on the web. All the radio stations are public so you aren’t asked to pay anything to use the site. OK, TheRadio is also one of my favorites because of its simplicity. Entering an artist or a genre gets you custom channel, but if you go over the channel listing, you will find much more interesting suggestions. I don’t know about you but I actually like when someone else picks the music as long is it in the range of my request. Anyway, TheRadio does a great job on finding music that I like – it simply works. Aupeo fits in the Recommendation list as well as this category. The service lets you experience music in a fours different ways: by Stations, Artist, Mood, and Personal. The Stations area is pretty limited if you don’t have a pro account, but you can still get the feel of it. In the Artist zone, you enter your favorite name and choose from a variety stations suggested. The coolest way is the Mode area, which plays music based on your chosen mode. These stations are created by music experts, says Aupeo. The Personal station streams music based on your music behavior at the site. Overall, very intensive and powerful! That’s it for Part 1 of this music guide. If you have any other suggestions related to these groups, you are more than welcome to add them in the comments. In the next part of this post, I’ll offer the best options for Music search engines, Music web-players, Twitter-Music craziness, and more. Stay tuned! Image by RossinaBossioB on Flickr.